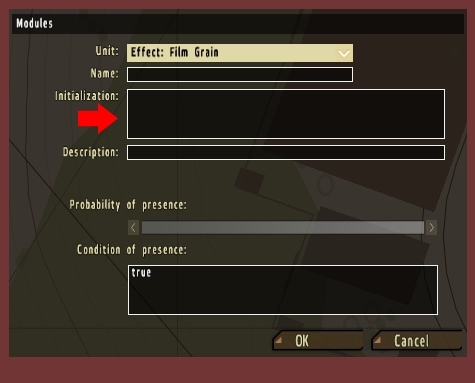 The first one is used if you plan to place all the code directly into the player 'Initialization' field. The second is used if all code is entered into the player-init.sqf file and then called from the player 'Initialization' field. 'Select 0' is the East/West axis, 'Select 1' is the North/South axis and 'Select 2' is the Height. Change the numbers at the end of the code (2, 4 ,6) to adjust the parameters. Numbers can be positive or negative (or combination thereof) and do not need to be whole numbers (0.3, 0.5, 1.7, etc). The above code will set any object on a level plane, overriding any terrain altitude changes beneath the object (i.e. hills and such). Modifying any of the three numbers will change the orientation on the X, Y and Z axes (Cartesian coordinate system). It can sometimes take a bit of fiddling to get the desired orientation as adjusting one axis will influence all other axes. The first part of the code (-1.5,2,-0.8) is the location of the barrel on the tank. The second part of the code (-10,-360,0) is its orientation. In this case the barrel has been flipped right 90 degrees and then flipped forward 90 degrees. As you probably noticed, simply entering '90' and '90' in the X and Y coordinates will not give you the desired results so you will need to play around with the numbers. Now players can scroll over the barrel and select the option to detach it from the tank. This removes all the previous weapons, adds four rifle magazines, three pistol clips, two hand grenades, one purple smokeshell, binoculars, nightvision goggles, a GPS, an M16A4 rifle and a G17 pistol. There is a maximum capacity of twenty items. If you surpass that number everything will still show up in the editor but you will find part of your gear missing in multiplayer. You can read 'ArmA 2 | Loadout Codes for Units' for more detailed instructions on creating loadouts, including using a loadout.sqf file. Give the vehicle a name (EX: 'hmmwv01') and then place the following script into the group leader's 'Initialization' field. 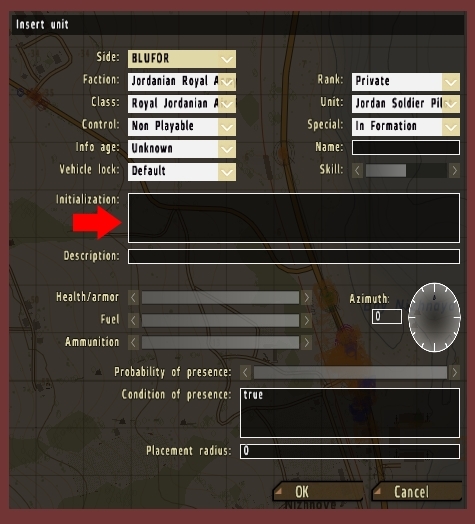 Make sure to change the name to the actual name of the vehicle. Everyone who is part of the group will start in the vehicle. Make sure to change the names unit01, unit02 and unit03 to the correct names. This code is useful in a situation where you would like units to exit vehicles at specific times via a trigger timer. Save the file as teleport.sqf and drop it into your mission folder. Players can now scroll over the teleporter object and choose the option to teleport. This will move them to the marker location. This works bet for customizing signs. First, create your artwork in PhotoShop or other graphics software. Convert the image into a .paa file using 'TexView 2' which is part of the Bi tools 2.5 suite. Drop the image into your mission folder and then launch the editor. You'll notice that, along with adding three textures to the vehicle, I created a 'pictures' folder to store images. You may want to consider doing this as you can gather quite a few images very quickly for use in your mission. Select the map object you would like damaged (typically a building hard-coded into the map) and then click the 'IDs" button on the right sidebar. All of the id's will now display in tiny white boxes across your map. Damage 1 will completely destroy the building, leaving a small pile of rubble. Damage 0.1 will create minimal damage. You may adjust as needed using that range. If you are planning to do quite a bit of map modification then you should compile all your "destruction" into one .sqf file and call it from a single 'Game Logic'. Replace the numbers 00001, 00002 and 00003 with ID numbers from your own map. Then simply continue adding lines to your .sqf file for each subsequent map item you would like to damage. You could use this in conjunction with blowing up buildings. Use the 'IDs' button on the right to find the ID of the building you would like to remove from the map. The number '000000' needs to be switched out with the actual building ID and the 'Game Logic' name 'building01' also needs to be changed to the name you have chosen. This will attach the building to the game object, which in turn will be moved under the ground one hundred meters, effectively hiding them both from view. Using the same code and techniques from above you can move the building in a lateral direction simply by changing the '-100' to a zero. This will move the building to wherever the empty object is located on the surface of the ground and keep it in view. You can now move the empty object to the location on the map where the building should be positioned. For further modification, the direction the building faces can be changed by adjusting the '[0,0,0]' code in the empty object. If you do want to move the building and keep it in view, you may want to change the empty object to something small such as a baseball so that it will be less noticeable. When you enter the game you will see a fire burning where the unit is located. You can place this code into any object (car, table, etc) and it will be set ablaze. You can also set a remote object on fire by changing the word 'this' to the name of the target unit. The number '4' references the intensity of the fire (1-10), 'time' needs to be left as it is and 'false' sets the Lifecheck, which means it will burn as long as the unit is dead. Set this to false for inanimate objects such as buildings. Finally, 'false' refers to Fade - true will command the fire to fade out and die whereas false will keep it burning indefinitely. The code will make both the barrel and the campfire wood disappear, leaving their fires intact and visible. These are especially useful if you would like a fire burning in a building you have collapsed. Once the building turns into rubble then the campfire and barrel will fall to the ground via gravity and appear within the ruins. The number at the end (1.3) is the number you will want to modify. A smaller number will allow more damage to occur on each hit whereas a large number will make your player much stronger. In this case, 1.3 will allow your player to sustain damage from two to four clips from a Russian rifleman depending on the distance. These codes are placed in the 'On Act.' field and can be used together or separately. The skiptime number (3) adds this many hours to the current game time. You can place a timer on the trigger or have it activated immediately when a units steps into the trigger perimeter. You can also trigger a specific date and time using the following code. Be mindful that the lighting for the specified hour (i.e. 17:30 hours) will different depending on the time of year. This code is placed in the 'On Act.' field or script. Once triggered, the text will pop up followed by the player's names. If they die they will no longer be able to communicate messages. In addition, only the members of hq's faction will be able to see the messages. These two codes are fairly straight-forward. The titletext appears as the white text in the lower center of the screen and the hint pops up in a brown box in the upper right-hand corner of the screen. This is the typed-out large white text in the lower right-hand corner of the screen. Just like all the other text codes, it can be placed in a trigger or script. Change "music01" and "sound01" to the name of your music score and custom sound. For additional information on importing custom music see this section of Making an Intro with the In-game Camera. Select the desired music/sound from one of the dropdowns and then hit 'OK' twice. Any custom sounds you imported will be found under the 'Voice' category and can be activated via the 'Effects' button also. This means that the trigger will only be activated by a player that is less that ten meters above ground level. This code is ideal for ensuring that aircrafts flying through the trigger radius will not cause activation. Now a unit will only set off the trigger if it is higher than four meters but not higher than ten meters. This is used for triggers in buildings that should only be activated on certain floors such as the second, third, etc. All other code will have specific instructions on where to place it. 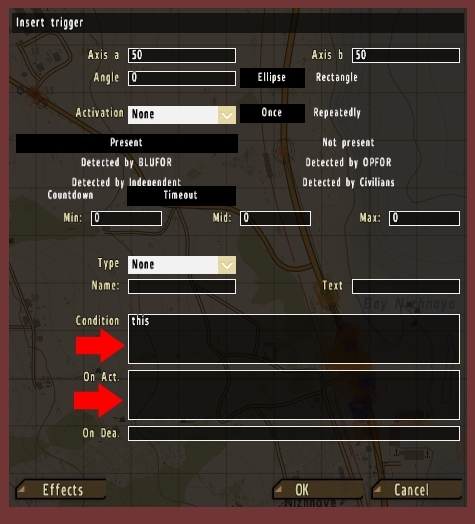 The 'Functions' module is utilized by a wide range of processes and addons/mods for ArmA 2, so it is a good habit to place one down right away when you first begin creating a mission. If something is not working correctly in your map then chances are it requires a 'Functions' module. A good example is activating a start message/greeting at the beginning of your mission. Go into the Editor and place down a function module. Then place the above code in your init.sqf file. Place down an Ambient Combat Module (AMC) and name it 'ACM01'. Click the 'Synchronize' button on the right sidebar, click the module, drag over to your player and then release the mouse button. There will now be a blue line connecting them. The Ambient Combat Module will activate within a few minutes of gameplay and units will begin to randomly spawn around your player. On a side note, the Ambient Civilians and Ambient Animals modules can simply be placed on the map without any further modifications. First place down a 'UAV' module followed by a UAV terminal. Next place down an 'MQ-9' (BLUFOR) or a 'Pchela-1T' (OPFOR). The drones must be occupied and not empty or they will immediately crash. 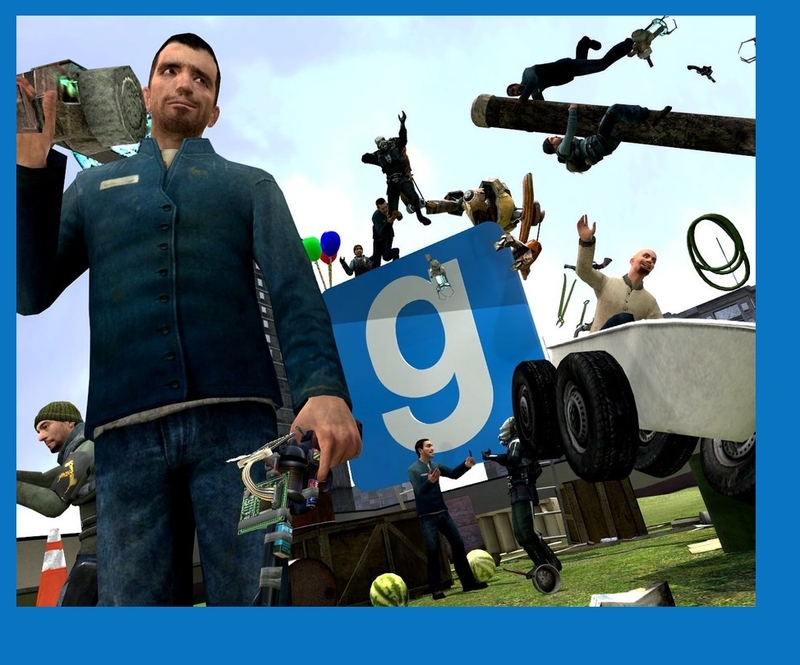 Click the 'Synchronize' button on the right sidebar, click the module and drag over to your player first, then the terminal and then the drone. There will now be three blue lines running from the module to the units. This will place the drone 1,000 meters in the air. Once it kicks in and begins flying it will drop to a height of 600 meters. You can also start the drone on a runway and allow it to takeoff and reach its flyinHeight on its own; however, there is a good chance it will crash shortly after takeoff.